Tiger Woods was born Eldrick Tont Woods, but his father began calling him ‘Tiger’ the day after his birth in memory of a lost Vietnam comrade. The world came to know Tiger Woods as a young boy and the world has been watching his ascent in golf ever since. 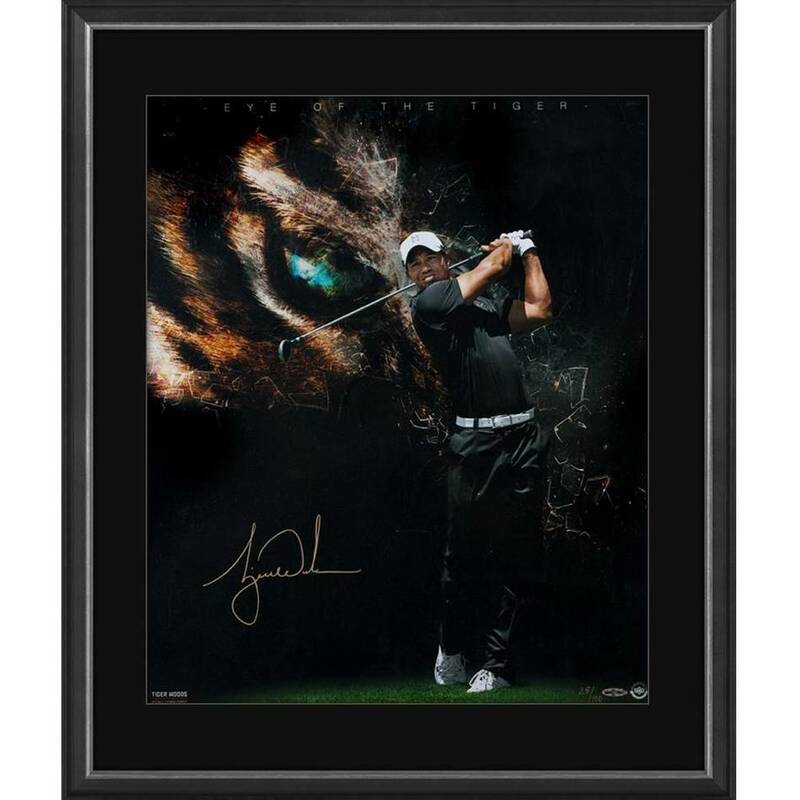 This designed “Eye of the Tiger” is a limited edition 20" x 24" print of Tiger Woods. Woods’ gold signature has been authenticated by virtue of Upper Deck Authenticated’s Five-Step Authentication Process.